Almo Nature - Cat - HFC Alternative is delicious wet food made with ingredients that were originally meant for human consumption. Your cat will not be able to resist this wheat-free cat food. This cat food is available in five tasty flavours. 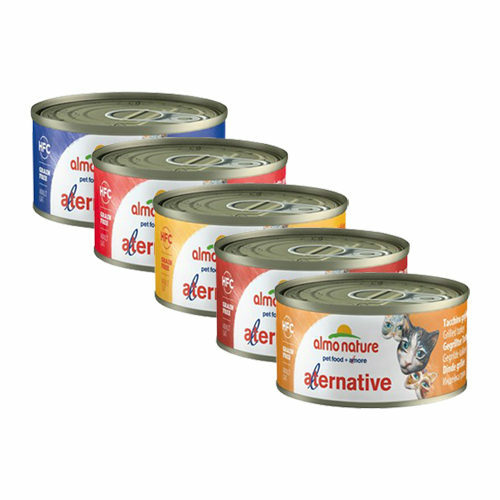 Almo Nature - Cat - HFC 70 Alternative is wheat-free cat food available in 5 delicious flavours. This cat food is made with ingredients originally meant for human consumption. So, you can be sure your cat gets proper, high-quality food. The wet food looks very tasty, so your cat will not be able to resist it. Have you used Almo Nature - Cat - HFC 70 Alternative before? Let us know what you think about this product.